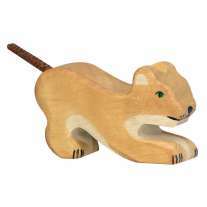 This wooden lion cub is destined to become king of the jungle and will be right at home next to all the larger lions who rule over the other exotic animals. 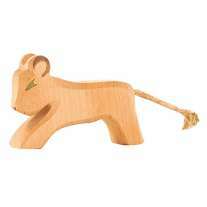 This little lion cub is perfect for completing a safari set and children will love to play and teach him to raw. 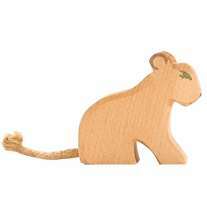 This lion is stained tan and has delicate black details and a cord tail. 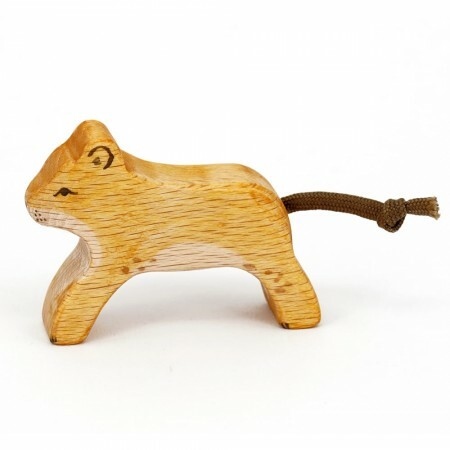 This wooden lion cub has been handmade from sustainable European beech wood and the grain shows through the plant-based colour stain. 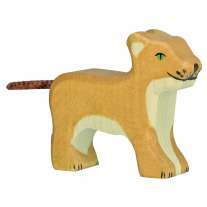 Team up with other lions and a lioness to build a pride and other wild animals’ creatures to make a safari set. Check out the full range of Eric and Albert's wooden figures to build a stunning Waldorf animal collection. This figure measures 6.5 x 5 x 2cm - excluding tail.